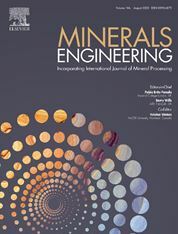 The purpose of the journal is to provide for the rapid publication of topical papers featuring the latest developments in the allied fields of mineral processing and extractive metallurgy. Its wide ranging coverage of research and practical (operating) topics includes physical separation methods, such as comminution, flotation concentration and dewatering, chemical methods such as bio-, hydro-, and electro-metallurgy, analytical techniques, process control, simulation and instrumentation, and mineralogical aspects of processing. Environmental issues, particularly those pertaining to sustainable development, will also be strongly covered.